Join the babes of Maybe Baby, ShayShay & Just May for some merry indulgence in the world’s biggest television celebration of camp since 1956. We are transforming the basement into our very own Euro-dome! Expect nonstop Eurovision nonsense! 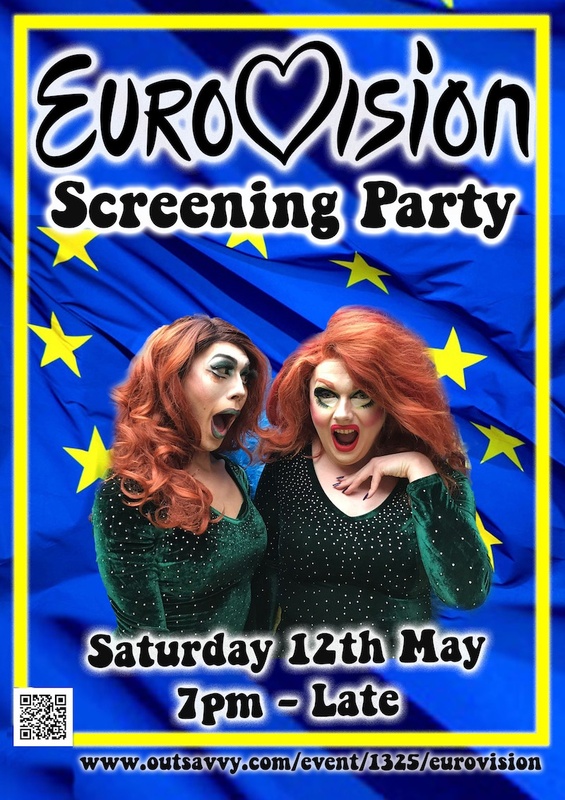 Eurovision trivia, Eurovision Drag shows, and the Ultimate Eurovision Drinking Game! The festivities commence at 7pm sharp, so get there quick, get yourself a seat and settle for the never-ending onslaught of sequin gowns and tacky special effects. Seating is limited, so book your tickets fast! On sale now on OutSavvy!